Is there any nation more known for romance than France? Whether you love the language, the food, or the locale, this French Label Square save the date card will add a bit of French style to your wedding celebration. 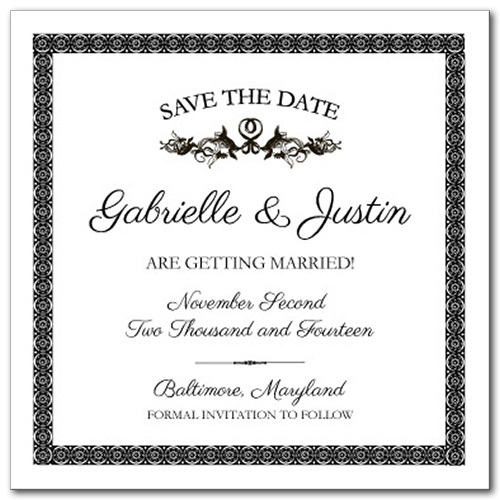 A dark textured border and decorative accents frame the piece, drawing attention to your personalized message and wedding font choice. A timeless celebration of votre amour! French Label Square For the best experience, we recommend personalizing your stationery on a desktop computer.